UFC welterweight champion Tyron Woodley had a close eye on the UFC Chile main event. Not only because it was an important fight for the division to which he rules but also because he served as an analyst for the broadcast. Woodley is coming off recent shoulder surgery but is back in the gym training. The champ has stated publicly in the past that he doesn’t think there are any clear contenders in the division right now. Woodley suffered a partial labrum tear early in his recent title defense over Demian Maia, which he won by decision. Woodley has been a fighting champion as he has defended it twice in 2017 with winning decisions over Stephen Thompson and Maia. This tied with three other fighters for the most active 2017 schedule by a UFC champion. 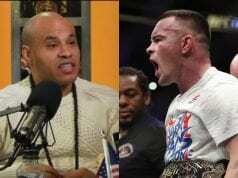 As seen in the main event of UFC Chile on Saturday, May 19, 2018, at Movistar Arena in Santiago, Chile on FOX Sports 1, Usman was able to defeat the former title contender by unanimous decision. Usman spoke with the FOX crew after his big win over Maia and made it known that he wants a crack at Woodley for his title. “Hey, champ: You know my social media hasn’t changed since I got in the game five years ago,” Usman said (transcript courtesy of MMA Junkie). 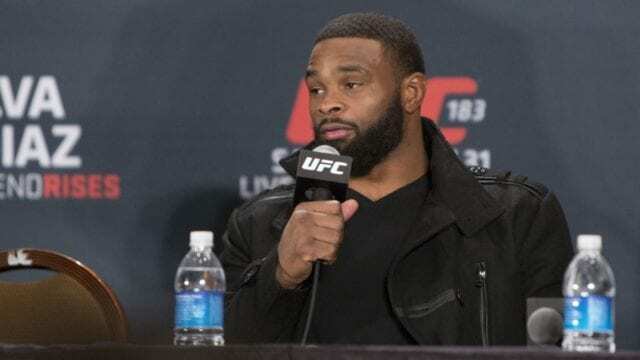 This led to Woodley firing back at Usman and made it clear that there are some holes in Usman’s game, which he is more than willing to expose if the UFC ended up booking them against each other for the welterweight title. “Kamaru Usman, congratulations,” Woodley said. “I don’t ever want to take away the credit. Demian Maia is a game opponent. Me as the champion, I’m always welcoming any challenger. Just make it to that point, I’ll be on the other side of the octagon.